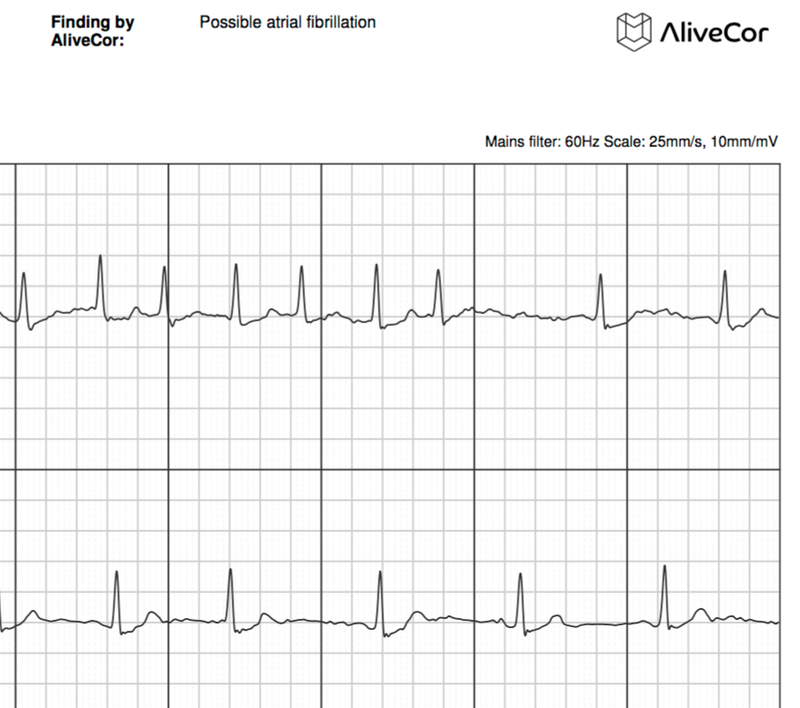 The skeptical cardiologist has been evaluating the AliveCor mobile ECG device for use with a smartphone to detect atrial fibrillation. 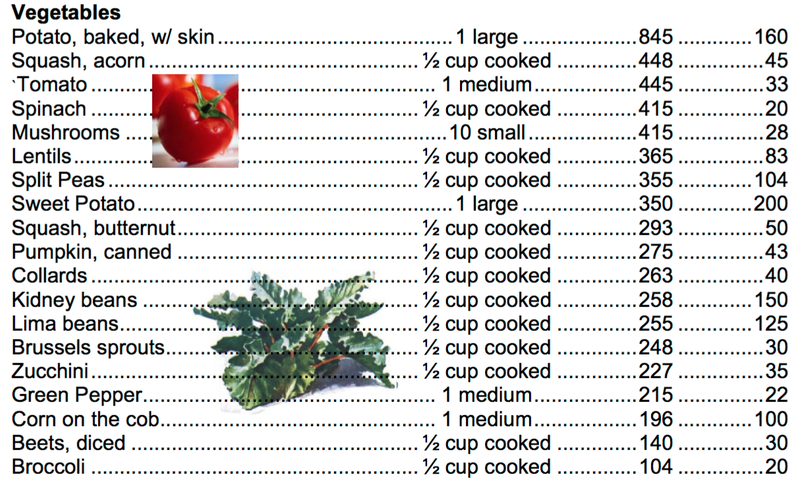 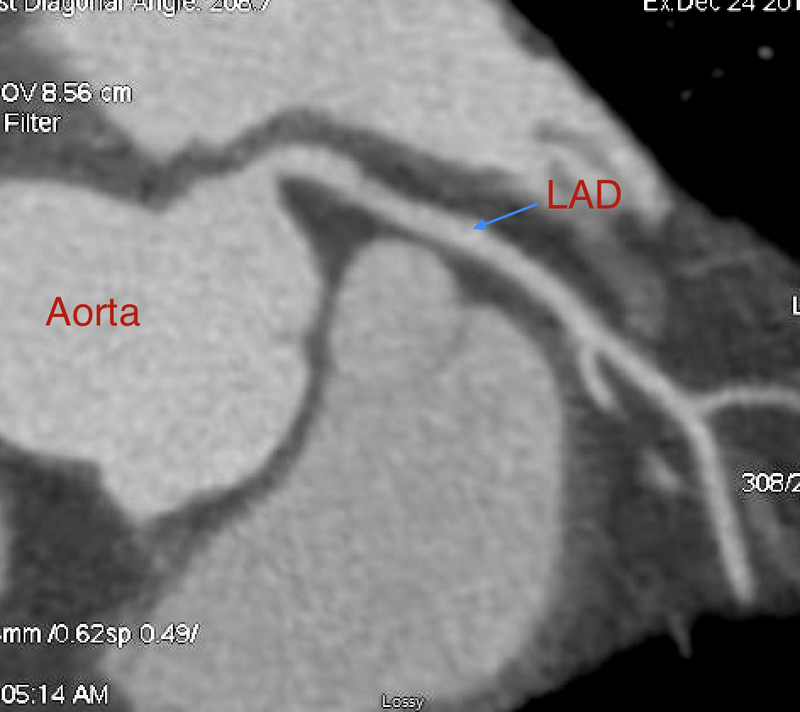 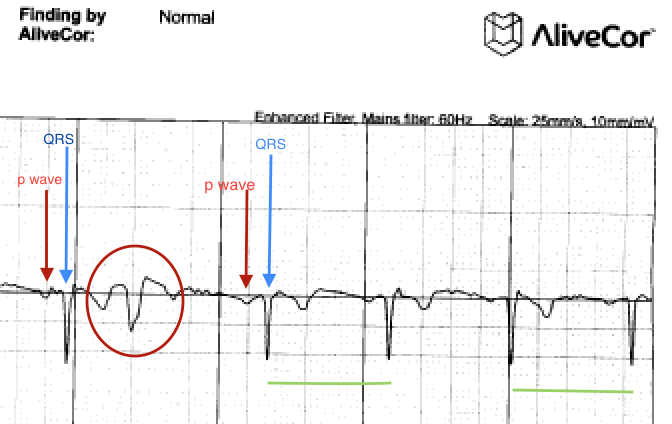 In my initial post on this I found it to be accurate in identifying atrial fibrillation in my patients. 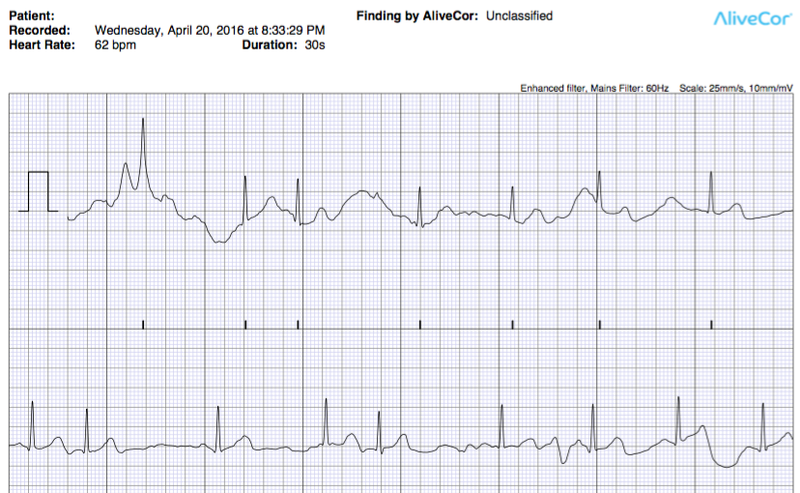 The AliveCor stuck (in a very crooked fashion) on the back of my (smudgy) iPhone 6 and ready to record YOUR heart rhythm. 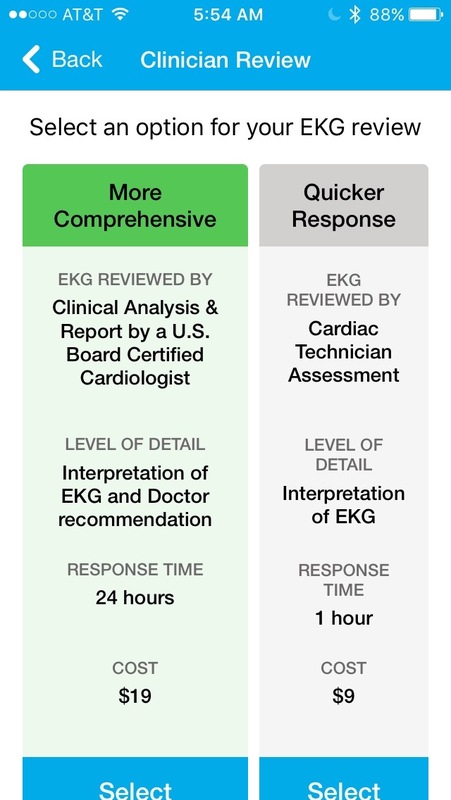 I’ve been using it in my office fairly regularly and encouraging my patients with intermittent AF to acquire the device and use it to monitor their heart rhythm. 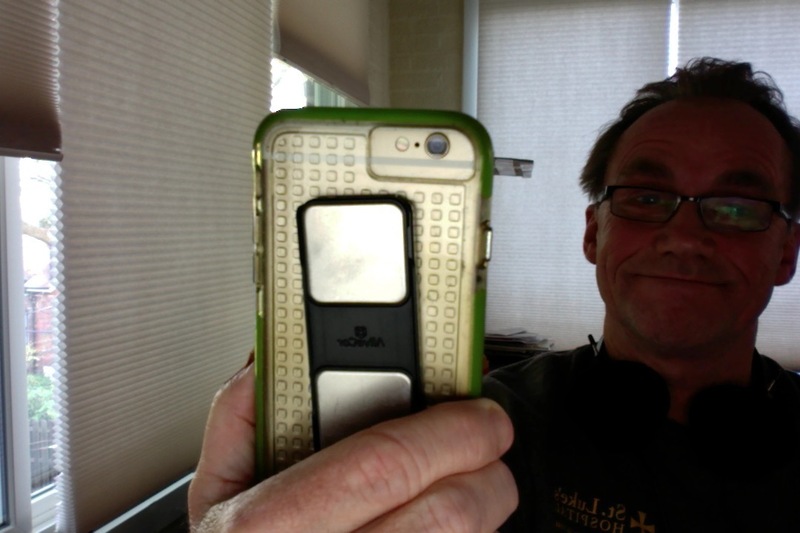 When they make recordings they can be uploaded to me via internet for my review. 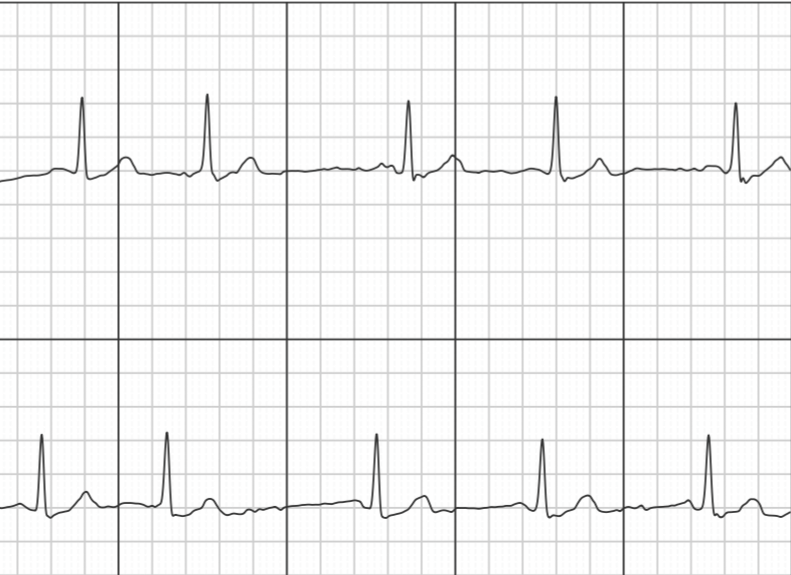 The other day I was examining a patient who I was seeing for syncope (passing out) and I noticed when listening to his heart that his pulse was very irregular. 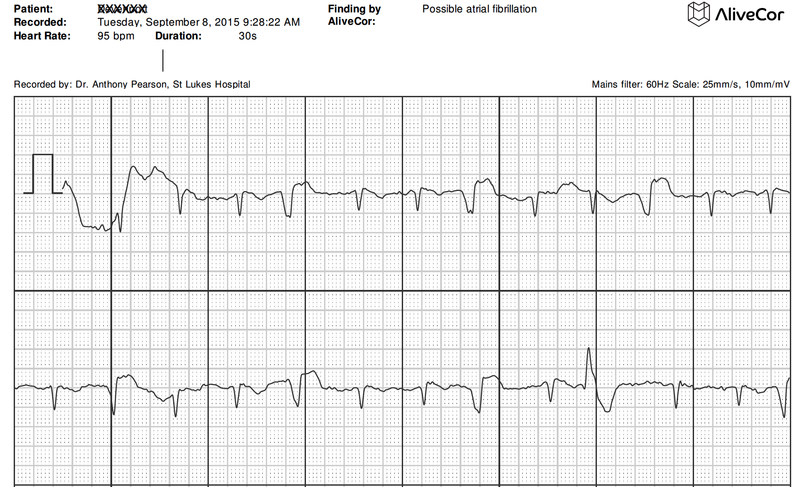 I pulled out my iPhone with AliveCor stuck on the case and made the recording you see below. 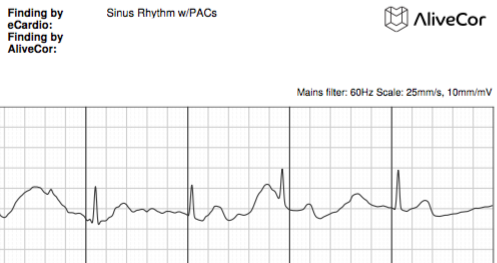 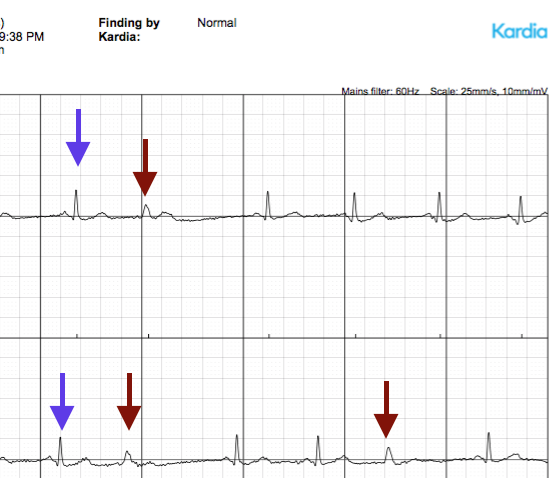 Although the AliveCor app diagnosed it as “possible AF” it is very clearly normal sinus rhythm with frequent premature ventricular contractions (PVC), a totally different (and more benign) rhythm. 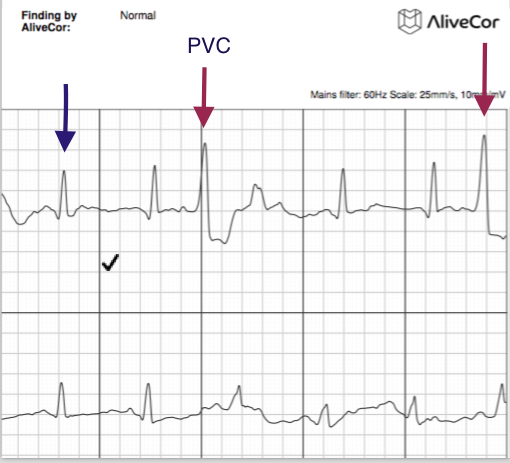 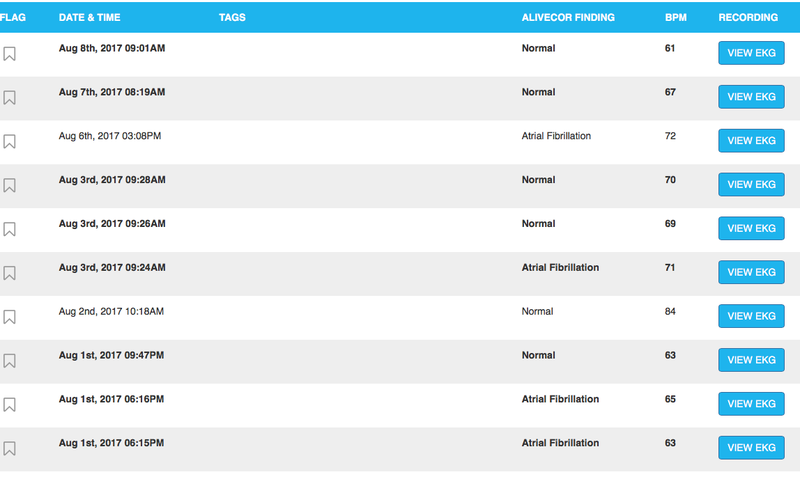 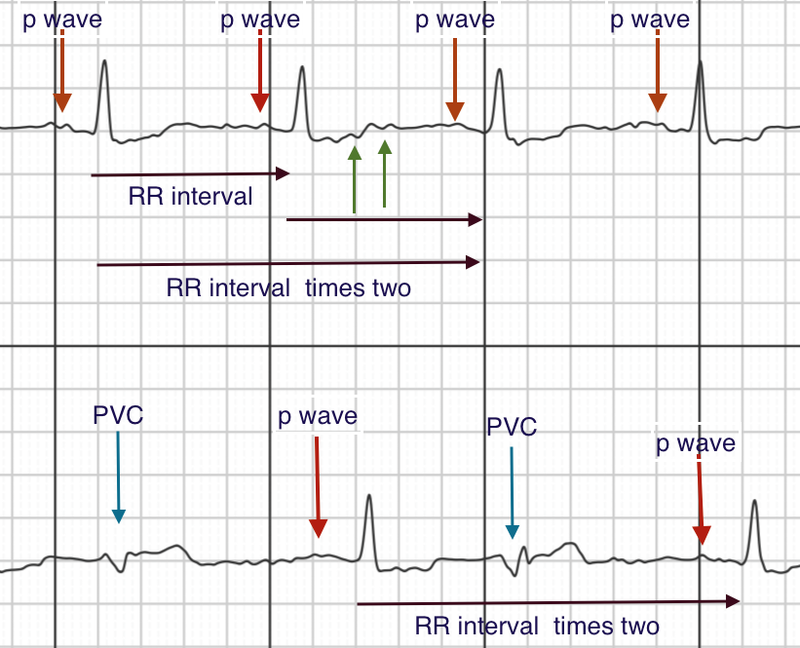 I’ll continue on with this evaluation and I’ll be particularly interested in how AliveCor performs in other patients with PVCs which are a common cause of palpitations in the general population. 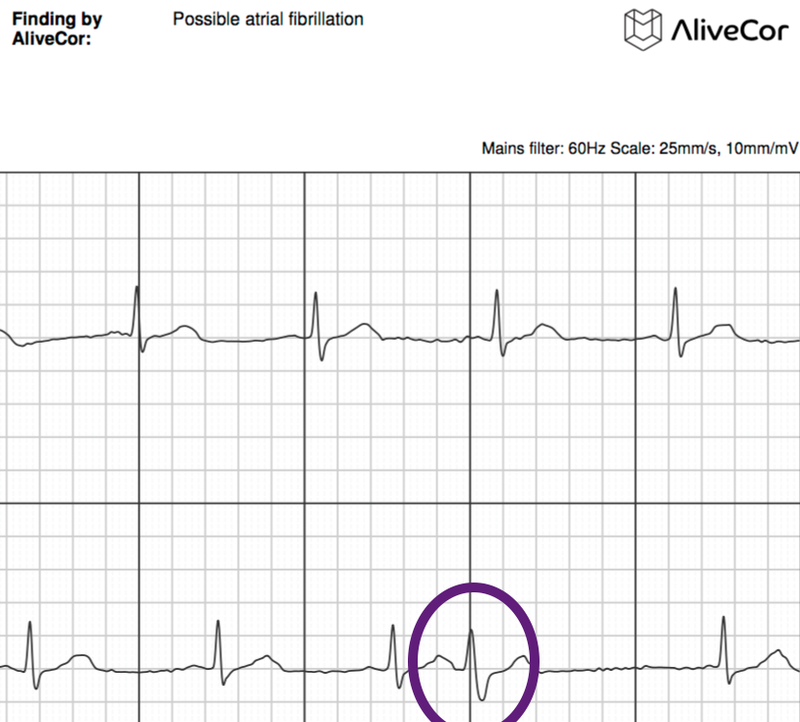 If AliveCor cannot differentiate AF from PVCS it may lead a lot of users to become unduly concerned about their heart rhythm.